The other day I was outside to do a little yard clean up. I borrowed a tarp that was covering some firewood for moving raked leaves to the compost pile. A tarp makes this job very easy. Just lay the tarp near the area to be raked, rake the leaves on top of the tarp, grab a couple of corners and drag the tarp to the compost heap and dump it. A large enough tarp will hold a lot more leaves than a garbage can or bucket. When I was finished using the tarp I returned it to cover the stacked firewood. A few pieces of wood were laid on top to keep the tarp from blowing away. It was then that I noticed something floating on small pools of water on top of some black plastic. Contractor garbage bags and black plastic sheeting had been used to cover other stacks of wood. In a few spots the plastic sheeting had been crinkled or curled in a way that allowed rainwater to pool. At first I didn’t like seeing the water as it could be a mosquito breeding ground. But other insects breed in water, too. 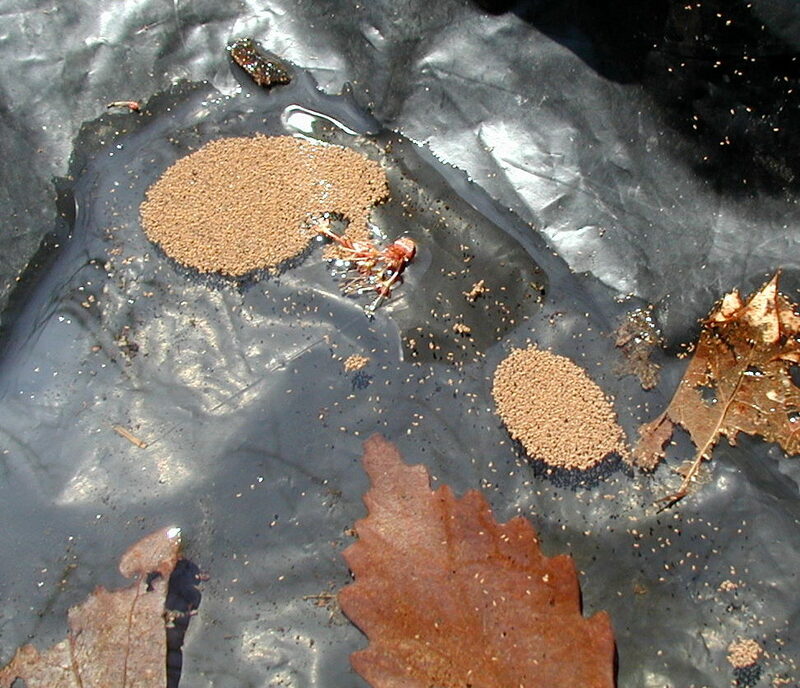 Here, the something that was floating on the water were thousands of Springtails or Collembola. Springtails were once classified as insects, but they now are considered to be in their own group, Class Entognatha. 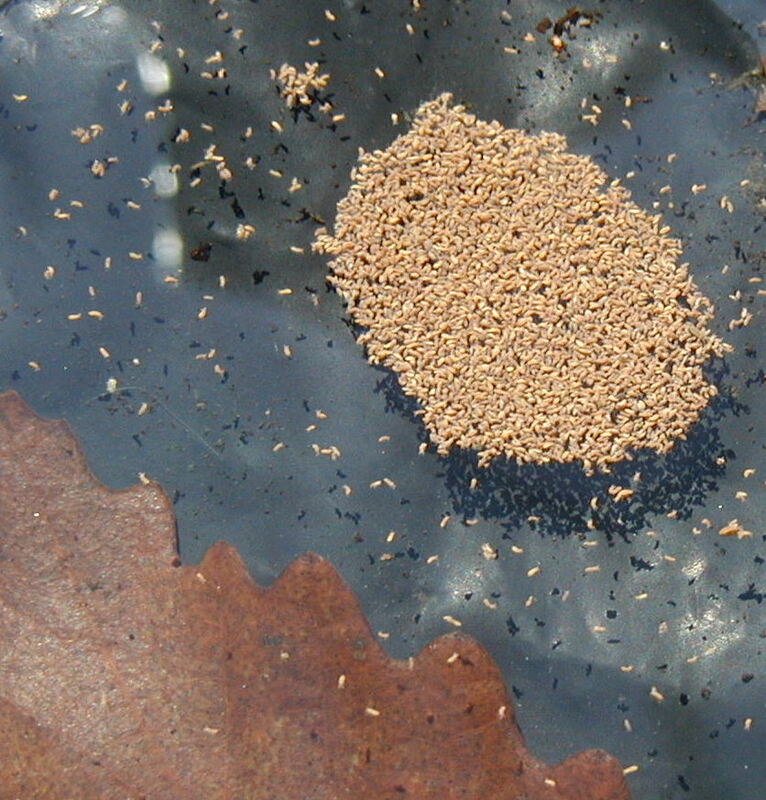 Springtails are sometimes called water fleas because of their fantastic jumping ability. They are small and light enough to run around on top of the water and not break the surface tension. Photos taken 14 April 2011. The inch-long maple flower gives a good size comparison. The Springtails are less than a millimeter long! 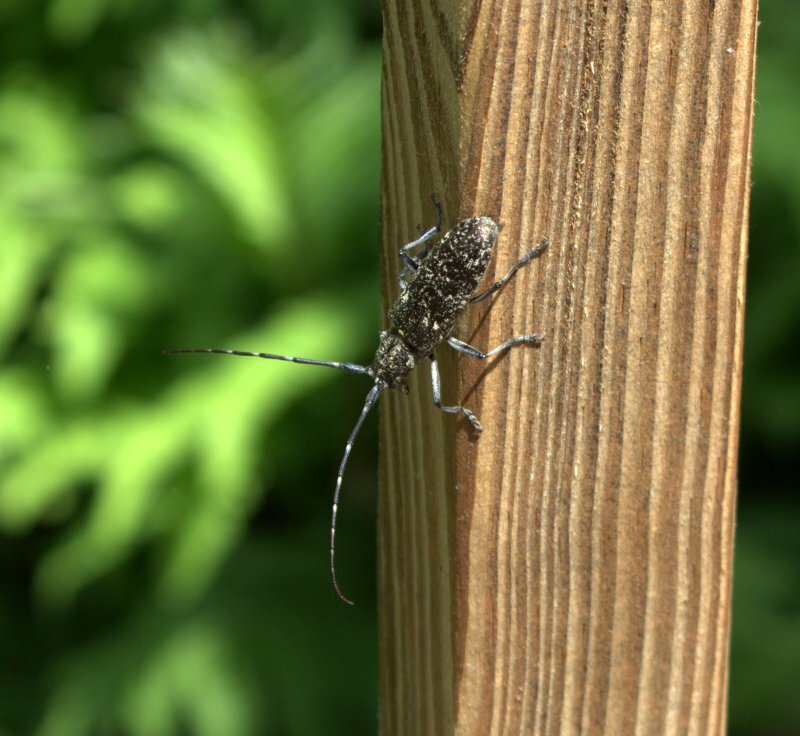 Other places that you can see springtails include planted fish tanks and snow banks. 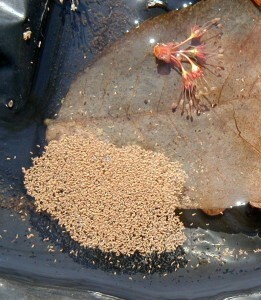 The tiny insects probably hitch a ride on vegetation and get transported from fish tank to fish tank. There’s no telling where the springtails in my fish tanks originally came from, but at least a few of them have been evading the fish for years now. I found a cup and scooped some of the springtails from the puddle and poured them into a tank to treat the fish to something different. Seeing any insect on top of a snow bank seems odd because most of them are dormant during winter. 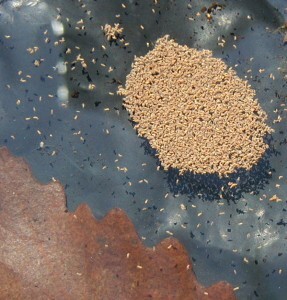 Snow fleas, as they are called, can sometimes be seen as jumping black specks on top of newly fallen snow. During winter in New York State they would appear out of thin air and then disappear just as quickly. I have no idea what they were doing on the snow or where they went when they disappeared. These were black springtails and they were about twice as big as the brown springtails of the wood pile. Take an aquatic entomology class and you can learn all about the insects and related arthropods that inhabit our watery world. In lieu of that, keep your eyes open when you’re outside. You’ll never know what you’ll find!